Hi everyone. I'm new to treasure hunting. New to forums. New to some kinds of puzzles. Not new to anagrams, cryptograms, & a lot of other word puzzles & games. Hoping to learn to work more kinds. I got in on the end of ATT & I just got my SAG book last week. I have been amazed at how you guys come up with so many different ideas & at how much knowledge is displayed in this forum. I think you are AWESOME! I don't know that I can contribute much, but I'll have fun trying. Good luck to all of you. My brain is tired!! A ring would make it feel much better. Welcome! Glad to have you! Good Luck. Like I said, "AWESOME!!!" Thanks for the cake. And you didn't even know I was comin'! 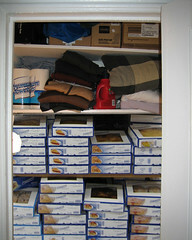 mimi has a closet full of cakes and is just itchin to give em away..hehehe. well mimi is from oklahoma herself...so she prolly did know u were comin!!! Perhaps you were at the balloon fest in Poteau, Ok. last week end. I didn't get to go this year. I was in the land of the cacti on vacation. I don't know much about ballooning, but I like to see the show & admire all who do the ballooning. always happy to see new people here! Welcome! I'm not form Oklahoma - but I'm glad you and all the other new people are finding us and coming together for all these wonderful treasure hunts! well, where are ya in okla? ?